Nearly there? Make a dash for it! Punctuation started as an aid to reading aloud. Originally scribes introduced various marks into text to indicate opportunities to breath or pause or change cadence. With the introduction of printing these marks became formalised and include all the familiar punctuation marks we use today. - The hyphen – is not, strictly speaking, a dash and it’s in the top row on most keyboard layouts. The hyphen is used in compound words (see http://www.wordsandpics.org/2014/02/when-words-get-together.html) and word breaks at the end of a line. In each there’s an aside about what the hunt is for (a bear). With the commas there’s a neutral ’rhythm’ to the sentence. The parentheses (curved brackets) ‘de-emphasise’ what they contain – the main things in the middle sentence are the hunt and the grass. With the em dashes there’s an emphasis on the bear, and an attention-seeking interruption in the middle of the sentence. In the past, letterpress typesetters expertly used the right dash – and then typewriters were invented. 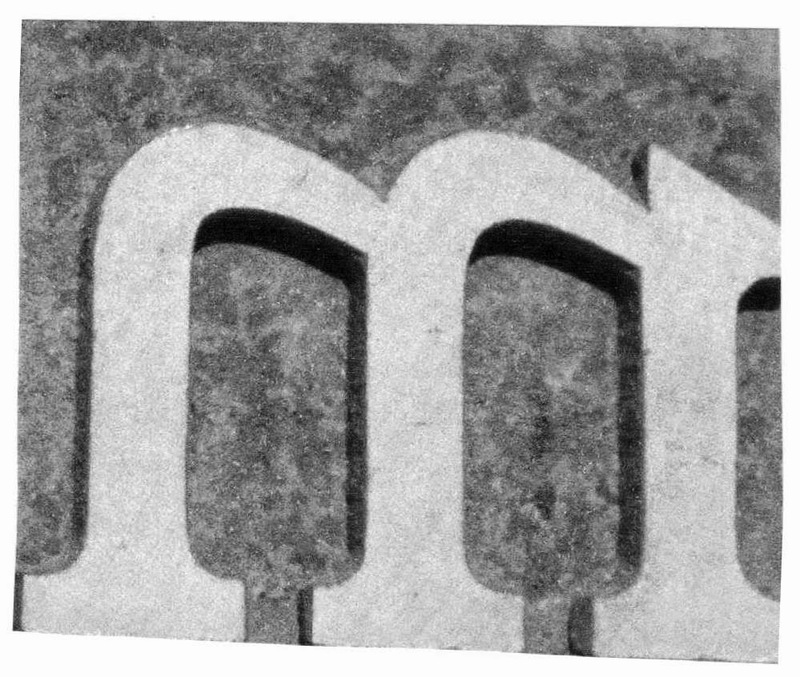 They had letters of equal width (see the courier font description in http://www.wordsandpics.org/2014/05/a-fount-of-fonts.html) so no difference between n and m. The QWERTY layout prevented commonly used typebars from clashing, and as few typebars as possible were used. Uppercase O was used for zero, lowercase L was used for number one and an exclamation mark was created with an apostrophe and a full stop. There was a hyphen, and it was used with spaces on either side to represent an en dash, and twice to represent an em dash. Typesetting, publishing and printing continued to use specific en and em dashes. Word processing has changed this. Proportional fonts have changed the traditional widths of the letters n and m, but we still have the appropriate dashes at our disposal. Their usage has evolved; though some publishers continue to use the em dash—like this—without spaces, some publishers use a spaced em dash — like so — and more often there’s a spaced en dash – this is it – which is the one you’re probably used to seeing automatically inserted. I think this has become an established convention as it is arguably more comfortable to read on a screen, particularly a phone or a tablet where the small screen makes the size of the dash less obvious. Semi-colons and colons are increasingly being replaced by em dashes or spaced en dashes. You can make a case for these punctuation marks and their subtleties – but we use dashes more often now, and that’s OK as long as meaning and legibility accompany them. To sum up – use hyphens in compound words and word-breaks, and use en dashes for ranges. And for those dashes within sentences? If you’re submitting to a publisher, you could have a look at whether they use em dashes or spaced en dashes in their current list. And for self-publishing – choose one style and be consistent. More on punctuation in future Proofreading Tips. Thanks, Catriona! I have become dangerously addicted to the use of a single spaced en dash to emphasise the end of a sentence (instead of a semi-colon). Glad to hear I'm doing it correctly! These are really wonderful tips about proofreading and really help people with average skill to get success at some level in professional proofreading but still they need to work on their skill development.